What's after Beginner Running Program 1? Hi! I'm currently working on your beginner program 1, and I'd like to work my way up to 30 minutes. After I complete program 1, do I move on to week 1 of program 2, or could I jump ahead (say to week 9 or 10 of program 3)? Thanks for your beginner running program question. Well done on getting started with running! I wouldn't recommend that you'd get back to Day 1, Week 1 of the next running program. That wouldn't be necessary. 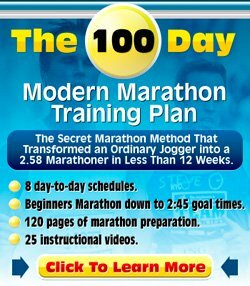 If you want to get to 30 minutes of non-stop running, then the best thing you can do is try to start somewhere mid-way in Beginner Running Program 3. Have a look at Beginner Running Program 3. I would probably pick week 4, which sees you starting off with quite a bit more walking and a little less running than you would be doing in week 7 and week 8 of Beginner Running Program 1, so it would offer a nice transition. You could maybe be a bit more agressive and start off at a later week of Program no. 3, but I am all for the better safe than sorry-approach to running. I'd rather see you take one step back, to take two steps forward than hurry along to get to 30 minutes non-stop as quickly as possible with the risk of injuring yourself. Best of luck with your running. It would be great if you'd build up to 30 minutes of non-stop running. Go for it!